After she was made redundant in May, the future looked bleak for Vane Seruvakula. But, a phone call from an official of the Social Democratic Liberal Party (SODELPA) changed all that. Mrs Seruvakula, a former administration manager at the Vatukoula Gold Mine, said yes to the challenge and fought hard campaigning in her designated areas set out by the party. Now she is among SODELPA candidates expected to win seats in parliament. “On the May 19 this year, I was made redundant from the Vatukoula Gold Mine. I was approached on the same day by a representative from SODELPA and it was the turning point for me,” Mrs Seruvakula said. She said a new door had opened for her. She said she engaged a lot with the community in Vatukoula. “The vanua ko Tavua had total support for the party. The youth and church groups supported me and that made it easier for me all along. 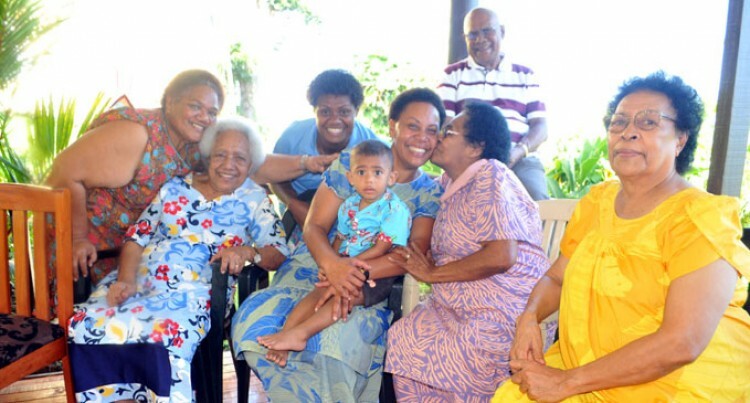 Mrs Seruvakula is the wife of Vatukoula Rugby team head coach Senirusi Seruvakula and mother to Viliame, 11 and Epeli, 7. She said she had spent about $20,000 during her campaign and this was possible through the support provided by her family. Mrs Seruvakula only wished her parents were alive to witness her pursue a career in politics. She had lost her mother at a very young age and her father in 2011. However, she said this never served as a barrier for her aim of securing a seat in Parliament knowing that they would be rejoicing in heaven about her decisions. Her aunt, Finau Tamani, 86, was in tears while describing Mrs Seruvakula’s journey before the poll. Mrs Tamani said her niece had come to her and asked for her blessings before contesting the election and she gave her all the blessings and full support. Mrs Servakula’s father-in-law Semi Seruvakula said his daughter-in-law had followed a traditional protocol by presenting a ‘sevusevu’ to them to seek for their blessings also. And her achievement, he said had made them proud parents. Mrs Seruvakula was ranked second to SODELPA leader, Ro Teimumu Kepa in the party standing during provisional counting.